Justice Mohit Shah retired yesterday as the Chief Justice of Bombay High Court. During his tenure of five years, Justice Shah took suo-motu cognizance of various social issues in Maharashtra, including condition of roads, of shelter homes, and providing education and other facilities to students with learning disabilities. “I have served five years as Chief Justice of Bombay High Court. From my experience I feel the people here (in Mumbai) have a better sense of social responsibility and civic sense,” he told reporters. The President has now appointed Justice Vijaya Kamlesh Tahilramani, senior-most Judge of Bombay High Court, to perform the duties of the office of the Chief Justice of that High Court with effect from 09th September, 2015. Seven Additional Judges have also been appointed. You may read the LiveLaw story here. Justice Shah started his practice in Gujarat High Court in 1976 in the field of constitutional, civil and corporate affairs. After obtaining an LL.M degree from Gujarat University, Shah served as a part-time professor in a law college and thereafter taught at the University School of Law at Ahmedabad. He was appointed additional judge of Gujarat High Court in 1995 and became a full judge in the same court June 1997. Shah took over as chief justice of Calcutta High Court in December 2009. 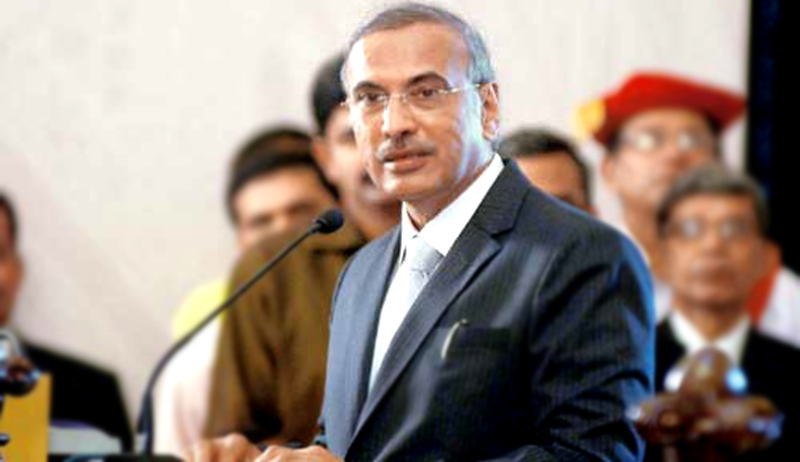 He was appointed as the Chief Justice of Bombay High Court in June, 2010. During his tenure, several matters were taken up suo motu by the High Court, facilitating several reforms. Last year, the Court had taken suo motu cognizance of the issue of gaps between the footboard of local trains and the railway platforms, directing the Railways to increase the height of platforms from 900 mm to 920 mm. It had also taken cognizance of a letter written by Jaya Sagade, scrapping a State Government circular that prohibited counseling and mediation in domestic violence cases without a court order. The Court had also urged to considered the issue of granting bail to former Delhi University Professor Saibaba on humanitarian grounds, taking suo motu cognizance of a letter written by activist Purnima Upadhyay in which she had highlighted the plight of Saibaba in jail. In another move that was lauded throughout, a 72-year-old woman lawyer who claimed to have no source of livelihood and that she is sick and infirm, was ordered to be given Rs 5000 as financial aid by the Court. The court was hearing on a letter written by the lawyer to Chief Justice Mohit Shah who suo motu had converted it into a petition.